The next time Beyoncé, Jay Z, or Rihanna want to sip a Cuba libre in Havana, they’ll have a new hotel and rooftop bar to Instagram from. 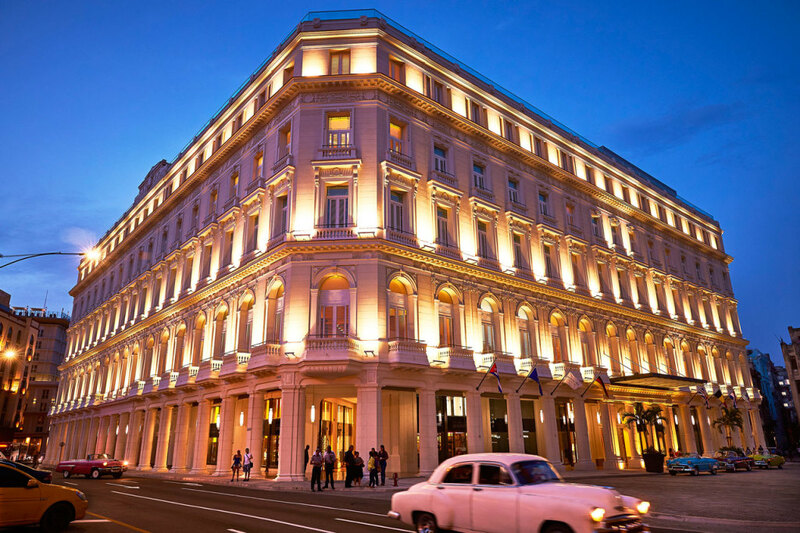 The Gran Hotel Manzana Kempinski La Habana just opened in the UNESCO-protected neighborhood of Old Havana, transforming the historic Manzana de Gómez building into an opulent stopover that far outshines even the nicest Airbnb. The hotel, which opened June 7, is a study in Western-style luxury with 246 rooms, three bars, three restaurants, a top-floor gym, a rooftop pool, and a nearly 10,000-square-foot spa. It’s run by a Swiss hotel chain under a management contract with Cuba’s Grupo de Turismo Gaviota, a tourism group run by the Cuban military (of course), according to the Miami Herald. Rooms at the Kempinski range from $470 to $1,385 per night. The vast majority of Cubans earn less than $200 a month. In short, the Kempinski is only for tourists. Cuban tourism has skyrocketed in the last few years, thanks in part to a flood of Americans visiting the island after former President Barack Obama lifted some restrictions on travel. President Donald Trump is currently conducting a review of Obama’s policies, though, and is expected to announce a more restrictive Cuba policy later this week. That could affect flights by American airlines, Americans’ ability to travel to Cuba, and perhaps the Kempinski’s ability to fill those pricey rooms.